India has one of the lowest valuations relative to its growth — the third-smallest among 13 emerging markets. With both its price-earnings multiple and growth in the mid-teens, its PEG (price-earnings to growth) ratio of 1 is higher than only Taiwan (0.9) and Korea (0.7). Those more expensive than it include Brazil (1.3), Singapore (1.9) and Malaysia (2.6). The analysis is based on data compiled by JPMorgan. “…India valuations remain meaningfully expensive as compared to peer group in EM (emerging markets), particularly in the BRICS group, in relative terms… But the premium could be justified against the backdrop of higher earnings growth forecast,” said its August 27 India Equity Strategy report note, authored by Bharat Iyer, Bijay Kumar and Adrian Mowat. 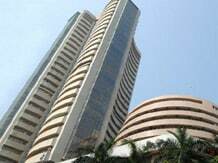 Companies in India’s benchmark indices are estimated to have earnings growth of 10-11 per cent for the current financial year, according to Bloomberg estimates. This is expected to be in excess of 19 per cent for the next financial year. Companies are likely to show a more robust set of numbers in the days ahead, market experts agree. Rakesh Arora, managing director & head of research at Macquarie Capital Securities, said India could not be described as overvalued. “Indian valuations are not rich compared to other emerging markets, except maybe China. However, any increased allocations to China have historically resulted in greater flows to India as well, on account of more money being invested in emerging market funds,” he said. He added more upgrades were likely to come, on account of companies’ operating leverage, which would result in greater profitability as sales moved up with the improvement in the economy. “These are the early stages of recovery and earnings are likely to pick up next year. There is also a lot of interest in India which has resulted in an increase in valuations,” said BSE Member Ramesh Damani. India is the third-most-expensive country in terms of earning multiples, with a P-E of a little over 16, according to JPMorgan estimates. Mexico and the Philippines are the only two other emerging markets, which have P-Es close to 20. The P-E ratio looks at price as a multiple of current earnings. The PEG ratio also takes into account growth relative to the earnings multiple. However, the higher earning multiple has not deterred foreign investors. Foreign institutional investors have been net-buyers by Rs 77,571 crore so far this year amid increased allocations from global funds, emerging market funds, as well as Asia ex-Japan funds. The allocation of Asia ex-Japan funds to Indian equities rose to eight per cent from 7.5 per cent in the previous quarter, according to the Morningstar Offshore Fund Spy report for the quarter ended June 2014. It added emerging market funds raised their allocations from 7.9 per cent to 8.3 per cent, and global funds also raised their allocations from 2.4 per cent to 2.64 per cent. Niranjan Risbood, director of fund research at Morningstar India, said the trend of rising India allocations had not changed. “India is around 30 per cent more expensive than a lot of other emerging markets but growth rates are higher, which might justify the premium. There is also the fact that return on equity (a measure of the returns companies are able to generate from shareholder capital) is coming out of a trough and is likely to head higher in the days ahead,” he said.